AHCA/NCAL’s Intellectual and Developmental Disabilities (ID/DD) Residential Services Providers will be in Washington DC for AHCA/NCAL’s annual Hill Fly-In event on Wednesday, March 7, 2018. Participants will hear from Congressional speakers and others. The event runs from 8 am – 10:30 am ET. After the morning event is over, the ID/DD providers will head to Capitol Hill to discuss critical issues, including Medicaid. If you have any questions relating to this event or would like to attend (it is free to attend, and breakfast and lunch are provided), please don’t hesitate to contact AHCA’s Senior Director of Not for Profit & Constituent Services, Dana Halvorson. AHCA/NCAL is preparing for another summer and fall full of facility tours for Members of Congress on the campaign trail. As lawmakers wrap up their last pieces of must-pass legislation, long term and post-acute care providers are prepared to show them the important care the deliver to millions of Americans. The midterm elections are November 6th which means all Representatives and a third of the Senate will be campaigning in their districts and states this year. Legislative activity usually slows down in an election year, as lawmakers try to avoid votes on controversial bills and instead spend time with constituents. AHCA/NCAL members are ready to showcase the significant improvements in quality skilled nursing and assisted living providers have made in recent years. Every year, AHCA/NCAL coordinates hundreds of tours to better educate lawmakers on the long term and post-acute care sector. Members of Congress benefit both from being able to meet constituents in their communities as well as from learning about important health care issues affecting providers. In some districts, these communities are the largest employer in the district. If you would like to schedule or host a facility tour, please contact Matt Smyth at msmyth@ahca.org or 202-898-2817. Demonstrate Your Geriatric Nurse Competency with Gero Nurse Prep and Save! The highly popular spring sale on AHCA/NCAL Gero Nurse Prep is back! Save $100 off the regular registration fee now through April 30 by using promo code QUALITY18 (all caps). AHCA/NCAL Gero Nurse Prep does thoroughly prepare interested RNs to take the American Nurses Credentialing Center (ANCC) board certification exam in gerontological nursing. RNs who complete the Gero Nurse Prep program have a passing rate of 96 percent on the ANCC exam on their first try. The training course registration fee is $450 for AHCA/NCAL members and $650 for non-members. There are no refunds and no transfers. Payment and registration must be made online in ahcancalED . The IPCO course can be accessed here or at: https://educate.ahcancal.org/p/ipco. If you haven't yet signed up for the Independent Owner Conference, what are you waiting for? You don't want to miss this opportunity to earn up to 8.75 CEUs while networking with other Independent Owners from across the country. Discuss your most critical challenges, learn new strategies and best practices, and make important connections. There is also space available in the afternoon networking activities. Choose one and sign up when you register. Take advantage of all that the IO Leadership Conference can offer you. But don't wait! Learn more about our sponsors, and see what they can do for you! The Quality Summit may be held in the “Big Easy” this March 12-14, but we know that quality does not come easy. That’s why we have two full days of enriching education, so you can return home with new ideas to implement, inspiration to continue your quality improvement journey, and possibly 12 CEUs. For assisted living providers, here are the highlights. Learn from assisted living communities that achieved all four of the NCAL Quality Initiative goals with this moderated panel. This session will include an overview of quality improvement tools and resources from AHCA/NCAL, as well as tactics on how to communicate your quality stories with important stakeholders. Earlier this year, the Alzheimer's Association's released its new Dementia Care Practice Recommendations. This session will provide an overview of the recommendations and discuss how they can be used to increase the quality of care and quality of life for people with Alzheimer's and related dementia. Relocation and health crises are among the top 10 life stressors for people of all ages, but especially for older adults. The presenters will review best practices related to care transitions in the assisted living sector and identify processes to recognize and develop effective transitional care needs and services for residents in assisted living communities. Interested in applying for a Quality Award as an Assisted Living provider but concerned about barriers to success? This session will provide an overview of how to apply for a Quality Award as an assisted living organization. This session will emphasize the importance of seeing the individual as they are, and then building programs based around individuals’ abilities. Attendees will discuss exercises that may be used when returning to the campus and the importance of tracking and resident and family inclusion. Tip: See this symbol on your education materials? That means the session is geared towards AL providers. All Quality Summit attendees also hear from AHCA/NCAL leadership at the opening general session, which will include an important announcement about the Quality Initiative. Assisted living providers who were recognized for the Quality Initiative Recognition Program will be honored in-person at the Celebration of Quality and Networking Lunch on Tuesday. And AHCA/NCAL is proud to welcome Karen Tritz, Director of the Division of Nursing Homes, Survey and Certification Group at CMS, as our closing keynote speaker on Wednesday morning. And have some fun at the NCAL Reception on Tuesday night! Dubbed “Party at the Summit”, the NCAL Reception has you make your way to the top of the New Orleans Marriott for free food, drinks, entertainment and a gorgeous view of the Mississippi River. NCAL is proud to partner with MatrixCare for this annual reception at the Quality Summit. Learn more and register by March 2nd at www.ahcancal.org/events/qualitysummit. NCAL is teaming up, once again, with the American Seniors Housing Association (ASHA), National Investment Center for Seniors Housing & Care (NIC), Leading Age, and Argentum to issue The State of Seniors Housing, a report on the financial performance data for seniors housing communities. We need your participation in order to provide a representative picture of the industry. Please download the 2018 State of Seniors Housing Survey (Excel format) and submit completed surveys to colleen.blumenthal@healthtrust.com by close of business Monday, March 19, 2018. Questions about the survey should be directed to Colleen Blumenthal of HealthTrust, LLC at (941) 363-7502 or at her email address noted above. For owners or managers of multiple properties, please submit data for as many of your properties as is practical. We will adjust overall results so large portfolios are neither over-represented nor under-represented. The quality of our industry’s data relates directly to the size and composition of this sample. For the last few years, we collected data from 1,500 to 2,200 properties annually. If you contributed data for a given property last year, it is particularly important that we obtain information about that property this year also, so that “same-store” industry trends in revenues, costs, and census can be analyzed. All organizations that complete surveys will receive a complimentary copy of The State of Seniors Housing 2018, which compiles the survey results for comparisons to your own operations. Thank you, in advance, for your participation in this important annual research study. 2018 National Skilled Nursing Care Week Planning Guide & Product Catalog Now Available! The 2018 National Skilled Nursing Care Week Planning Guide and Product Catalog is now available online here. Please be sure to visit the NSNCW website here to download the new guide and to access other resources such as promotional graphics and a link to the AHCA store to purchase 2018 products. Don’t forget to “Like” the National Skilled Nursing Care Week Facebook page here for updates and to see what centers are planning during this special week, May 13-19, 2018, and be sure to use the hashtag, #NSNCW in any social media posts related to the observance. The official White house budget released by President Trump last week proposes steep cuts to the Medicare and Medicaid programs. The annual policy paper’s proposals, however, are unlikely to be passed in Congress. Included in the proposed budget is the Affordable Care Act (ACA) repeal and replace plan known as Graham-Cassidy. In addition to fundamentally changing the health care exchanges, the plan block grants the Medicaid program and decreases the maximum allowable provider tax rate to 4 percent. The represents billions of dollars cut from the Medicaid program. The budget also proposes a unified payment model for all post-acute care (PAC) providers. Under this model, all PAC providers would be paid based on patient characteristics rather than setting. The Improving Medicare Post-Acute Care Transformation Act of 2014 (IMPACT) included provisions for exploring the development of a prospective payment system spanning the four PAC settings. Other Medicare changes proposed in the budget include provisions incentivizing the increased use of Accountable Care Organizations (ACOs), prior authorization for certain Medicare services, and eliminating excessive Medicare Advantage payments. The budget is unlikely to gain traction in Congress, where Republican lawmakers need an outsized majority to pass the President’s priorities, particularly in the Senate. Many of the changes need a 60-vote supermajority to avoid a filibuster. While some items can be passed with budget reconciliation instructions, which only requires 50 votes, the slim Republican majority in the Senate and the failure of last year’s efforts to make changes to the Medicaid program do not suggest items from this budget could become law. Join us for a member webinar! AHCA staff and member experts will provide a technical overview, as well as technical insights into the Centers for Medicare & Medicaid Services' (CMS) Resident Classification System Version 1 (RCS-1). The proposed patient characteristics-based system is a fundamental departure from the current Resource Utilization Group Prospective Payment System (RUGS IV). AHCA staff and member experts will discuss the overarching RCS-1 goals and features, and presenters also will discuss each new component as well as likely alternations in SNF operations required to deliver services in the proposed system should it be implemented. Register Today for the Independent Owner Leadership Conference! You can earn up to 8.75 CEUs. Review the agenda, check out the speakers, and meet the sponsors at io.ahcancal.org. There is also space available in the afternoon networking activities. Choose one and sign up when you register. Visit galleries in the Louisiana Memorial Pavilion, which features the institution’s newest permanent exhibit that tells the story of the war experienced on the Home Front as well as Campaigns of Courage and the US Freedom Pavilions. Lunch provided. Learn the basics of Louisiana cooking from a talented team of local chefs. The hands-on class includes two hours of cooking in which you will create a four-course meal. The class will then dine on their creation together, with red and white wine and Abita Amber beer. Participants also get to bring home aprons and copies of the recipes. See a 15-minute movie, go on a 45-minute tour through the working warehouse where the majority of the Mardi Gras props are made, and enjoy a slice of the local favorite, Gambino’s King Cake. The tour concludes with Mardi Gras World artists who will guide you to design your very own Mardi Gras mask. A New Orleans style buffet is included. The American Health Care Association is excited to share Celebrating Life's Stories®, this year's theme for National Skilled Nursing Care Week® (formerly National Nursing Home Week). Special promotional products to help decorate your center and get staff excited about the week are now available online. Most items are now in stock and our popular National Skilled Nursing Care Week (NSNCW) posters are scheduled to arrive any day. 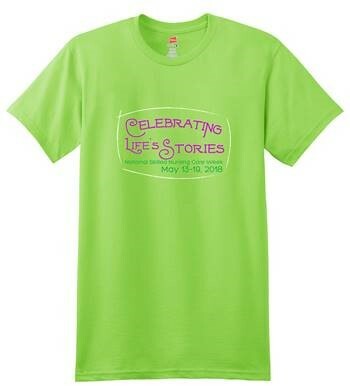 Many product feature the Celebrating Life’s Stories logo. Each year, products sell out, so don't delay in placing your order. Early orders ensure best product selection and availability! Order online now or call 800-321-0343. Each member of your team completing the C.D.S. will learn quality dementia care strategies based upon the Alzheimer’s Association’s new Dementia Care Practice Recommendations. Having caregivers who are credentialed dementia specialists translates to a far more efficient and effective dementia care team and reduces staff reliance on licensed nurses to solve the repetitious questions and issues that arise daily when providing care to residents with dementia. Living to help reduce the off-label use of antipsychotics. CARES is mobile friendly and available 24/7. There are 16,497 open jobs posted by direct employers in the nursing care facility (including SNFs), assisted living, and continuing care retirement community (CCRC) sectors this month according to the latest CEB TalentNeuron statistics. That is virtually the same number of open jobs posted by long term care employers in January. The CEB TalentNeuron statistics also show an estimated 2,101,000 potential candidates in the nation’s workforce whose skills likely match the qualifications being sought by long term care employers. Figures show that 1,738 direct employers are competing for candidates this month – an uptick of nearly 150 more than January. The average number of days a job was posted this month decreased by two days to 35 days. Finding qualified employees is one of the greatest challenges facing long term care providers. The AHCA/NCAL Long Term Care Career Center is designed to help members be competitive in attracting qualified candidates to fill their health care job vacancies. The LTC Career Center is also fully integrated with Google’s job search feature “Google for Jobs” creating even greater exposure for job postings. Of course, the LTC Career Center is always free for job seekers and the LTC Career Center features many of the best positions the long term care profession has to offer. Job seekers are using the site with more than 97,000 searchable resumes on the National Healthcare Career Network this month – an increase of more than 1,000 candidates from January. Job postings on the AHCA/NCAL Long Term Care Career Center network are averaging more than 1,300 views in February. AHCA/NCAL members can ship smarter and save money with the AHCA/NCAL Shipping Program, managed by PartnerShip®. Members who enroll in this free member benefit save on select FedEx® services. According to a February 14, 2018, press report from the Administration for Community Living, The President’s Committee for People with Intellectual Disabilities (PCPID) recently released its 2017 report, America’s Direct Support Workforce Crisis: Effects on People with Intellectual Disabilities, Families, Communities and the U.S. Economy. People with an intellectual and developmental disabilities (ID/DD) rely on Direct Support Professionals (DSPs) for daily support that enables them to live in U.S. communities. The report describes the current state of the DSP workforce as a "crisis," noting that the average DSP wage is $10.72, most work two or three jobs, and the average annual DSP turnover rate is 45%. The deadline to reserve your hotel for the IO Leadership Conference at the special AHCA/NCAL group rate has been extended! You have until 5 pm on Thursday, February 15! So don't wait. Reserve today, and remember—you must first register for the conference before you can book your hotel room. The New Orleans Marriott is conveniently located in the heart of the French Quarter. Review the agenda, check out the speakers, and meet the sponsors at io.ahcancal.org. Take advantage of all that the IO Leadership Conference can offer you. You'll enjoy three days of unbeatable education, networking, and sharing. Earn up to 8.75 CEUs. You'll also learn specific strategies and solutions you can start implementing at your centers right away. First-time attendees save $100. The IO Conference immediately follows the AHCA/NCAL Quality Summit, also taking place at the New Orleans Marriott. Save an additional $50 when you register for both! AHCA/NCAL is pleased to announce a new partnership with the American College of Health Care Administrators (ACHCA) for its administrator certification programs. The goals of the partnership are to increase awareness of advanced certification and professional growth opportunities and to encourage independent professional certification for nursing facility and assisted living administrators/directors. National Recognition and Endorsement – ACHCA’s professional certification program identifies and honors facility administrators and directors who are preforming at an advanced level of skill and knowledge. Commitment to the Public – Professional certification through ACHCA reflects a commitment to residents, families and staff. Certified administrators/directors have advanced knowledge and experience to lead their facilities. Enhancement of the Profession – Professional certification promotes quality in the profession and improves the public image of administrators/directors. Personal Satisfaction and Sense of Achievement – Unlike licensure, certification is a voluntary program which allows experienced and practicing administrators to validate their knowledge, skill and abilities. Employer Recognition – Certification is considered a plus by many employers. AHCA has established eligibility criteria prior to taking the exam, including two years of licensure (other options exist for assisted living administrators in states without administrator licensure) and continuing education requirements. Both must be established before an individual is authorized to sit for the credentialing exam. While ACHCA membership has many benefits for administrators/directors, ACHCA membership is not a requirement for ACHCA certification. A whopping 97 percent of health care professionals who have completed the AHCA/NCAL Infection Preventionist Specialized Training (IPCO) course thus far recommend that their colleagues take the course if they are interested in learning more about the infection prevention and control and antibiotic stewardship.That’s because the AHCA/NCAL course delivers! The course addresses both clinical and organizational systems, processes and cultural aspects of infection prevention and control that are fundamental to effectively leading and administering successful infection prevention and control programs and antibiotic stewardship programs. Strong and effective infection prevention programs and antibiotic stewardship efforts can set an assisted living center apart from the competition, especially when working with social workers and discharge planners who help seniors with their post-acute decisions. CMS Director to Address Quality Summit Attendees – Register Now! Karen Tritz, Director, Division of Nursing Homes, Survey and Certification Group at CMS will address Quality Summit attendees during the closing general session. Tritz oversees the new survey process and five-star system. 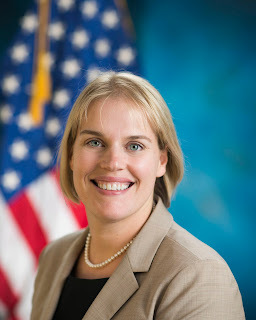 She is also responsible for making changes and modifications to the guidance each state and regional office must follow when enforcing the new regulations. She will provide insight into what CMS plans to focus on during the surveys and tips on how to approach the new regulations as well as CMS's plans for the "Patient Over Paper Work" initiative the new administration has launched. The hotel deadline for the Quality Summit has been extended through this Thursday, February 15. Don’t wait, make your hotel reservations today and take advantage of discounted group rates, plus you’ll be steps away from the action.